The Economic Crime Authority of Sweden has stated it would not investigate Swedbank over a criminal complaint alleging money laundering filed by British investor Bill Browder, who seeks to uncover dirty money flows from Russia. Canadian-British news agency Reuters reports that Browder has claimed that Swedbank accounts were used to launder around 156 million euros between 2006 and 2012 and this was linked to money laundering and tax fraud exposed by his former lawyer Sergei Magnitsky, who died in a Russian jail in 2009. EBM said it had dropped Browder’s complaint as the limited transfers involving Swedish accounts had occurred before tighter anti-money laundering legislation was introduced in 2014 and as a statute of limitations had expired in the case. «As Swedish prosecutors we have to look at Swedish situation and transactions or persons within our own jurisdiction. That’s what we’ve done and that’s why we’ve decided not to initiate a criminal investigation,» Henric Fagher, EBM’s Chief Prosecutor in Gothenburg explained to Reuters. Bill Browder responded on Twitter noting that he had filed an appeal against the decision, adding that the statute of limitations should be 10 years rather than the five years the prosecutor had said. 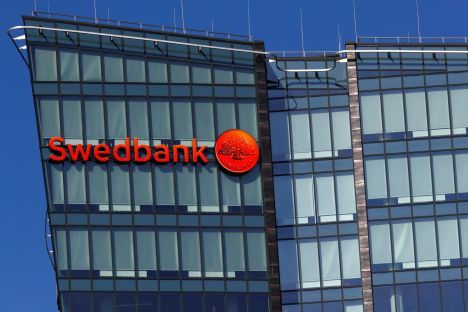 Swedbank, which dismissed its chief executive last week, commented said it had been informed of EBM’s decision and that it continued to cooperate with all relevant authorities in ongoing investigations.